TruXport is an attractive roll-up truck bed cover that includes top quality features and benefits with a price that won’t break the bank. Top Mount Design Cover sits 1.5" above the truck bed providing distinctive good looks. Straight cross tubes provide a smooth, flat look when closed. Quality Leather Protecting your cargo from the harshest of elements, the TruXedo TruXport truck bed cover is made from a quality leather grain fabric. Secure The TruXedo TruXport features a latching mechanism that can only be released from underneath, perfect for locking tailgates. Pre-Set Tension Control The TruXedo TruXport has a tension control that is conveniently integrated within the latching system to keep the cover tight in any climate. Easy Install The TruXedo TruXport has a no-drill, clamp on installation that allows for a simple install in less than 20 minutes. The TruXedo TruXport is an attractive roll-up truck bed cover that includes top quality features and benefits with a price that won't break the bank. It's easy to install, and operation is simple. The TruXport mounts on top of the truck bed rails providing distinctive good looks t hat will truly complement your truck. Once installed, the pre-set tension control will help maintain the TruXport's great looks all year round. To open your TruXedo TruXport tonneau cover first open your tailgate, release the latches on each side, roll up and use the included straps to hold in place. Adding a tailgate lock prevents any unwanted hands from opening the tonno cover and keeps your items safe and secure. TruXedo TruXport tonneau cover has an all aluminum frame that is powder coated black adding strength and rigidity. A double coated heavy duty vinyl tarp is resistant to mold and mildew and will outlast your truck in most cases. 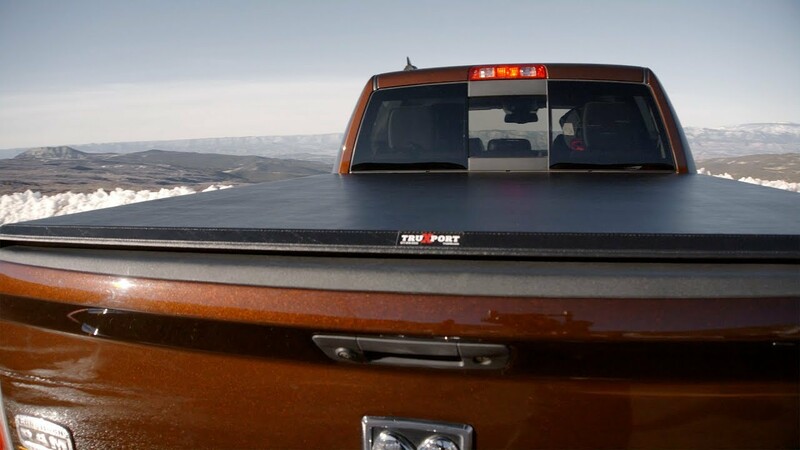 The TruXedo TruXport tonneau cover comes completely assembled and can be quickly installed on your pickup. It can be easily installed with the built-in clamps. Each product comes with easy to understand vehicle specific installation instructions.